What is the CSNE Hackathon? 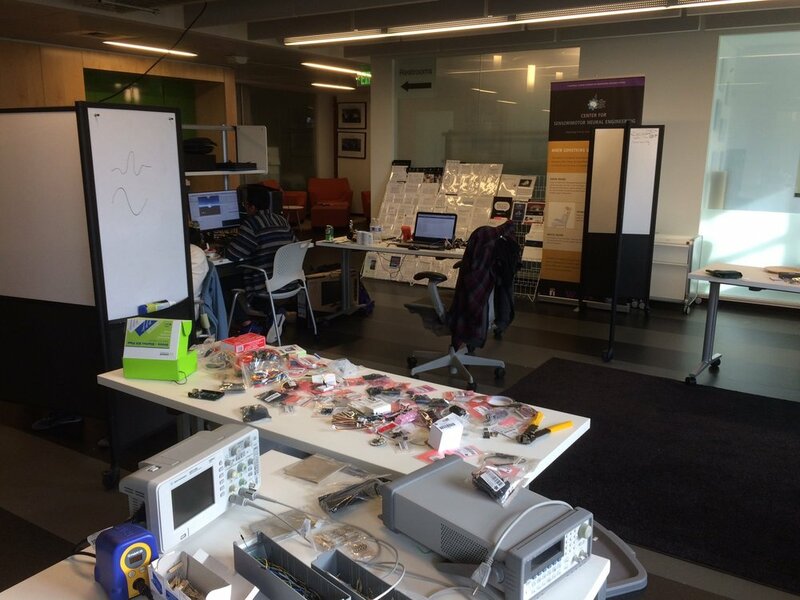 "The CSNE Hackathon is an annual, extended weekend-long event that takes place in Seattle, WA. Local and out-of-state participants hack away with cool technology and come up with prototypes for neural engineering solutions." This includes, but is not limited to, conditions such as spinal cord injury and stroke, as well as public awareness and education on such topics. "Five teams of three students each are formed. Teams have 36 hours to work together and utilize the equipment (hardware and software) provided to create novel technology. On the final day, teams will present their project prototypes to a panel of judges and the broader CSNE community where their work will be evaluated." "Friday February 10th - Monday February 13th, 2017 at the CSNE Headquarters (1414 NE 42nd St, Suite 204, Seattle, WA)." How did I [Anand] participate? Along with my wonderful teammates Adrian Fernandez (a senior at SDSU majoring in computer engineering) and Surabhi Nimbalkar (a post graduate at SDSU in bioengineering), we created what we titled last-minute as "Extend Your Limits." "Extend your Limits" is an augmented reality interface that makes rehabilitation exercises - such as stretching for patients with neuromuscular degenerative diseases - more interactive and informative. A flex resistor determines the "external" degree of stretching, while an EMG sensor determines the "internal" level of activity of the antagonist muscle pair. This information is combined and displayed on a Microsoft Hololens worn by the patient. In the scope of the hackathon, the flex resistor was worn on the elbow and the EMG sensor was worn on the bicep - measuring a tricep stretch. 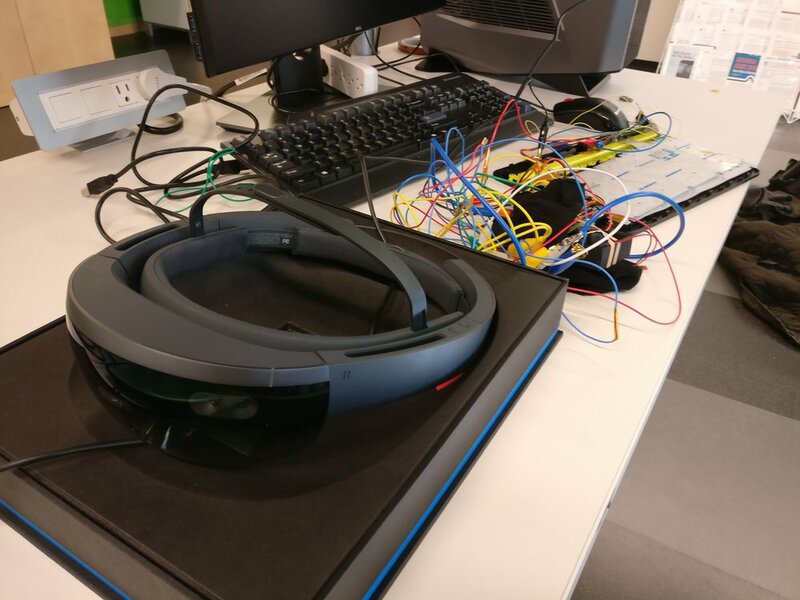 This information was directly sent to an Arduino Uno on a Backyard Brains Muscle SpikerShield, then transmitted to the HoloLens through a Bluetooth keyboard (by simulating a key press every instant the flex resistor and EMG both passed a threshold). The HoloLens interface displayed the number of stretches completed and how long a current stretch is being held - as well as a diagram of the stretch.